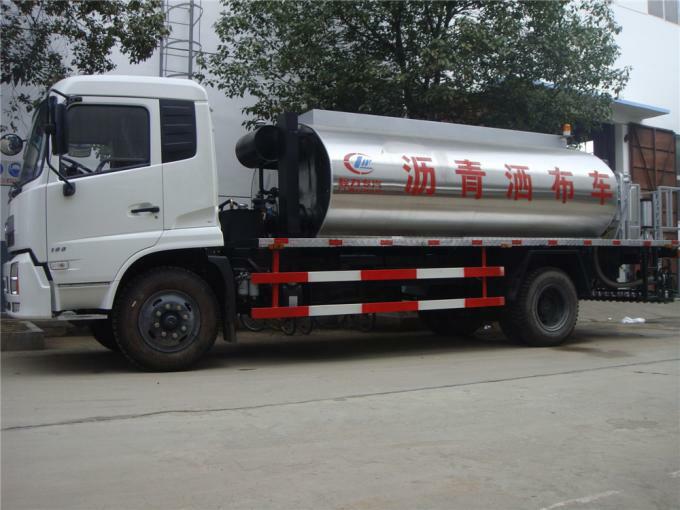 The bitumen sprayer truck is also called asphalt paver truck, asphalt spray truck, asphalt distributor truck, asphalt bitumen tank truck, road black tar sealing truck, etc. 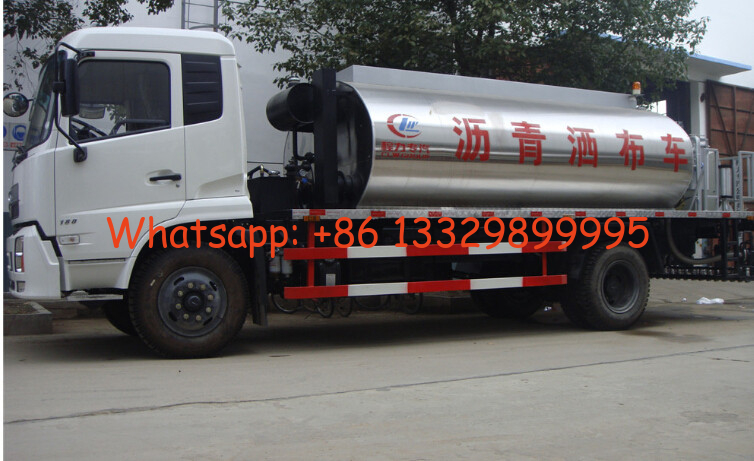 The asphalt distributor truck is mainly used to transport asphalt and distribut it for sealing the road. Our asphalt distributor truck adopt advanced technology and foreign imported parts. It has more advantages than other asphalt suppliers. 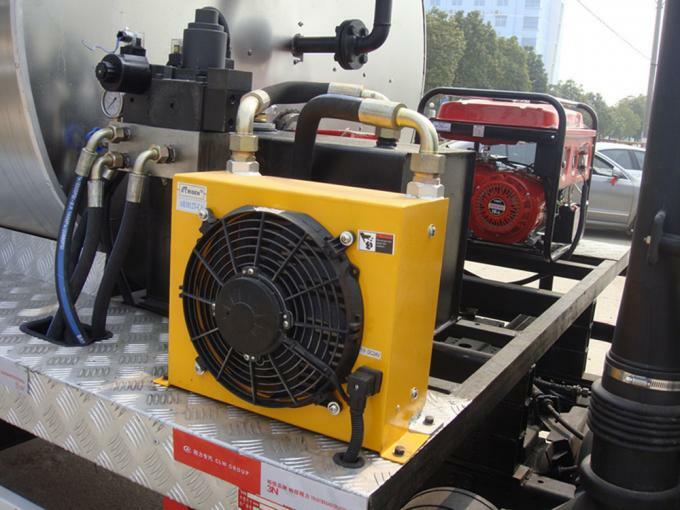 1.The temperature rising speed is 5% faster than the trucks manufactured by other factory. 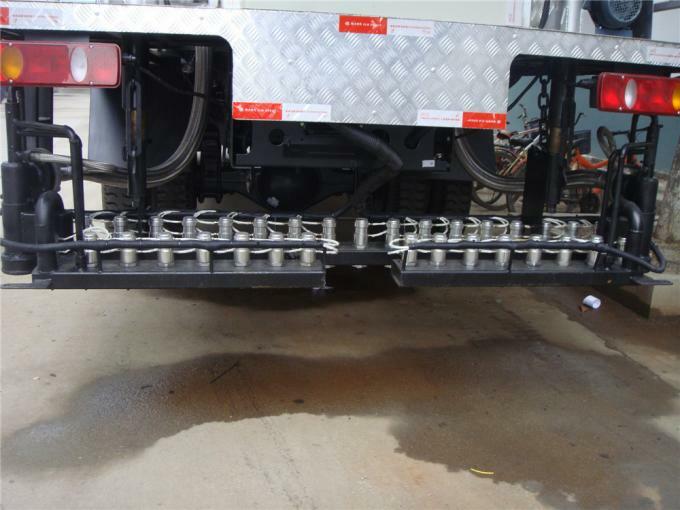 2.With conducting oil system, asphalt both in the tank and in the nozzle are all hot, easy to spray, no remained. 3.High quality metal hose, won't broken, long service life. 4.The distribution width can be adjusted according to your demand from 4.5m to 6m. 5.Start quickly, though the truck stop, still can distribute.